The Santa Clara County Main Jail has been the focus of controversy for quite a while, including three deputies convicted of murder in the beating death of a mentally-ill inmate. On Monday, the 68 new recruits who will take on that environment began their training program -- a program unlike any others before it. 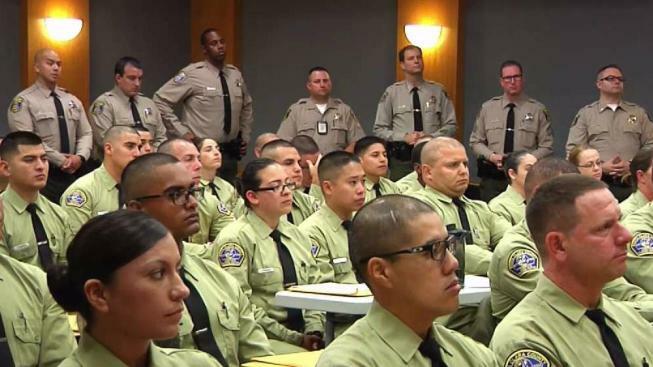 This year's Sheriff's Academy of cadets is a unique, diverse group: 35 speak more than one language, 24 have bachelor's degrees, 16 are women and 18 are over 30 years old. Recruiters said they focused on life experience because there is a new use of force policy developed after three deputies murdered mentally-ill inmate Michael Tyree. "This academy class is going to be immersed on the new philosophies, which really embody a caretaker or guardian spirit," said Carl Neusel, under-sheriff and chief of corrections. A third of the jail's 3,500 inmates suffer from mental illness. Cadet Karen Davalos has experience as an officer in a psych ward. "I understand their needs," Davalos said. "I understand that they are also human and we have to treat them with dignity and respect, regardless of what they've done." The class will also be the first to be trained to wear uniform cameras. Cadet Robert Costa said it goes well with his attitude. "Just to be honest with myself and have the integrity to not try to do the right thing when people are watching," Costa said. "But to do it for the right reason." The 13 weeks of academy training will also expand a role reversal program. Cadets will now reside in a cell for an eight-hour shift. "The purpose is so that they can feel what it's like to live in a cell in Santa Clara County," Neusel said. Cadets are expected to start on October 5, but the sheriff's office expect to have 40 vacancies to fill at that time due to retirements.